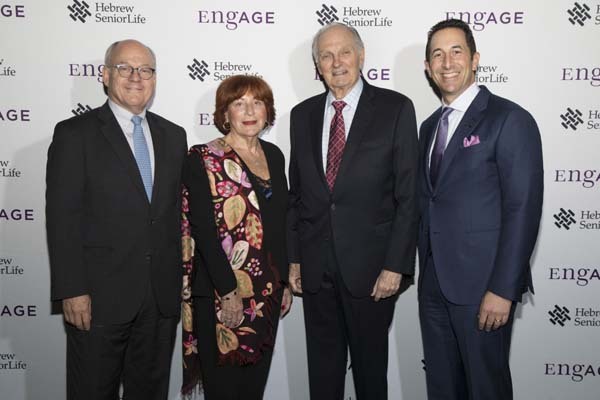 BOSTON (November 9, 2018)-Harvard Medical School affiliate Hebrew SeniorLife, a nonprofit organization committed to improving the lives of older adults in the Greater Boston area, announced today that it raised an all-time high of $1.3 million at EngAGE 2018. The annual event, now in its fifth year, featured Alan Alda, Emmy and Golden Globe Award-winning actor, writer and science advocate; Marilyn Maye, the Grammy-nominated cabaret singer; and Rose Styron, poet, journalist, translator, and international human rights activist. Dr. Timothy Johnson, Chief Medical Officer, ABC News, Retired, also participated in the event, interviewing Alda and Lewis Lipsitz, M.D., Director, Hinda and Arthur Marcus Institute for Aging Research, and Chief Academic Officer at Hebrew SeniorLife. EngAGE 2018, which was attended by more than 350 supporters, was held Thursday, Nov. 8, at the Revere Hotel Boston Common. Alda led conversations about the search for meaning in life, and took part in a “fireside chat” with Dr. Johnson and Dr. Lipsitz. Styron read two thought-provoking poems and Maye entertained the audience with jazz and cabaret classics. All proceeds generated by EngAGE 2018 fund Hebrew SeniorLife’s work to provide exceptional health care, strengthen communities, conduct research, and teach new generations of geriatricians and other clinicians. 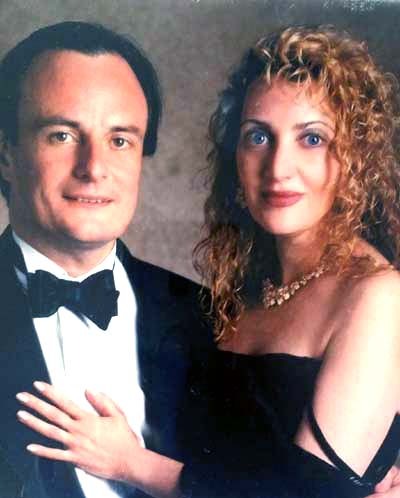 Co-chairs for EngAGE 2018 were Jennifer and Jeffrey Drucker and Hinda and Arthur Marcus, all of Chestnut Hill (MA). For more information about EngAGE, visit www.hslengage.org.